The Energy and Resource Institute (TERI) has recently completed a survey in six major Indian cities – Mumbai, Bangalore, New Delhi, Hyderabad, Kolkata and Chennai. The aim of the study was to assess people’s perception, behaviour, awareness and opinions on various environmental issues. About a week back, TERI released the findings of the survey with regard to Mumbai. So how have we Mumbaikars fared in this eco check-up? What’s our perception on environmental issues? And our behaviour, does it call for a pat on the back? Ok, I don’t want to play the eternal pessimist, so let’s talk about the positives first. The study indicates that our awareness levels are high and we have strong opinions on various environmental concerns. Take climate change for example, 79 percent of the respondents were aware that we are already facing this phenomenon. With regard to the air we breathe, 99 percent were of the opinion that pollution has led to the deterioration of air quality and that this in turn is causing respiratory and skin diseases. To remedy this problem, 75 percent suggested conversion of polluting industries to environment friendly units, while 67 percent suggested the imposition of congestion and other taxes to discourage private vehicles. And there are several other stats that I could quote from the report, which, like I said, prove that we are well aware of the situations we are facing and have our own opinions on each of them. But the study also reveals a sad truth – we are not willing to personally do much to remedy the problems. 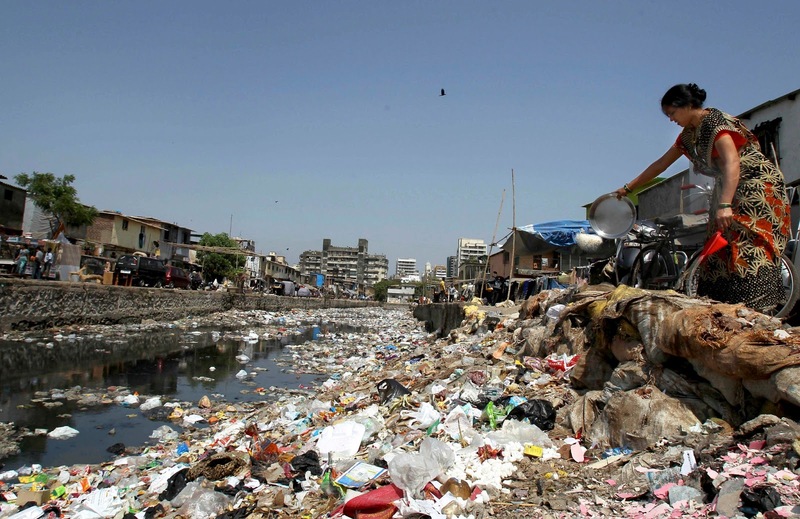 For example, a shocking 80 percent of the respondents said they were not willing to segregate their waste before disposing it, even though these same persons were of the opinion that waste segregation is an important strategy to manage the problem of solid waste in Mumbai! Not surprising then, 66 percent felt that the responsibility for improving the state of the environment in the city rested with the government, while 40 percent were of the opinion that it’s a problem that NGOs should take care of. So that seems to be our general attitude – yes we have a problem, but let someone else fix it. Apathy, I guess that’s the word that best describes us, at least when it comes to environmental matters.